Need to protect more than 50 servers? Usually organisations just protect their employees’ computers, leaving their servers, mobile devices, and employee home computers unprotected. As a result, any virus that compromises the system breaks free, easily penetrating servers containing critically important information. Why is server protection required? A user can infect a server with a virus that was unknown at the moment of infection (using removable media or launching it from storage). The installed anti-virus will detect it right away using heuristic mechanisms. Or it will at least cure the virus during the next update. A server can be hacked. The installed anti-virus will prevent this: it will detect and remove malicious programs. If the server is running under a centralised control system, the administrator will be notified immediately when a workstation status has changed (for example, when an attempt was made to shut down the protection system). Users may work not only in their offices but also at home; they may store data on their company’s file servers and on Internet file servers; they may use their flash drives as well as flash drives received from friends and colleagues. These media can carry viruses. Modern cell phones already have the same features and vulnerabilities that PCs have. They run operating systems and use applications that can also be compromised. Viruses can penetrate a corporate network from these devices and gain access to the server. 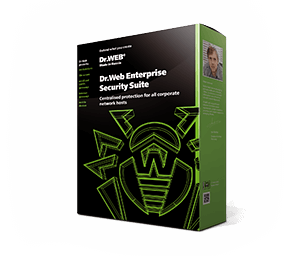 The Dr.Web Control Center lets you centrally manage an anti-virus protection system for any number of file servers running Windows, macOS, Unix (Samba), Novell NetWare, or Novell Storage Services. How to protect Windows PCs and servers from encryption ransomware? How to respond correctly when a virus-related computer incident occurs? This brochure describes the main reasons corporate networks get infected and what counteractive measures can be taken. 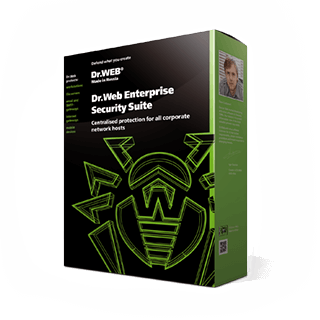 It also discusses the anti-virus protection requirements for enterprises and organisations and offers a methodology for selecting security measures. Try using our Dr.Web CureNet! network curing utility to supplement your anti-virus. Tool zur zentral verwalteten Prüfung und Desinfektion von Workstations und Servern unter Windows in lokalen Netzwerken beliebiger Größe - u.a. bei installierter Software anderer Hersteller. Verwaltung von Scans von Windows- und iOS-Geräten. Das Produkt ist NICHT GEIGNET für einen permanenten Schutz eines lokalen Netzwerks oder einzelner Rechner.